Each week we bring you our MAD FOR MODERN DEAL! library. This address has a stellar Walkscore of 89! This "modern" unit is on the top floor and some people would call this "Penthouse" location the bomb. At the end of the buildings North West Corner this unit has windows on three sides. The living room faces NW to stately Queens Road and the bedrooms look out over the mansions on Granville Road. The kitchen and dining room side look out to the pool. With 4 bedrooms and three baths, plus a "manly man" room you can get lost in this unit and not see your significant other for days. It's unique horse shoe floor plan has lots of opportunities for remodeling. It's solid concrete construction allow the non-supporting walls to be removed with ease. There isn't a large master so you probably would want to combine two of the bedrooms to make a spacious light filled master facing Queens Road. The center core of the unit has 3 full baths, a couple huge closets and lots of other closets. guess was originally a telephone booth... for private conversations, or it could have been the last spot to touch up your lipstick. See a VIDEO TOUR here. In addition to this low price, the bank was offering 3.5% toward closing cost but has just switched agents ...but they probably would still do this. The home also comes with a 2 year warranty. For more information or to take a tour please let Savvy + Co.'s modern enthusiast be your buyer's agent on this home. Want to find more modern homes in Charlotte NC? Give us a call. 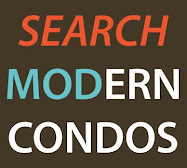 Your source for Mid-Century Modern and Contemporary Homes and Condos for sale in Charlotte NC. 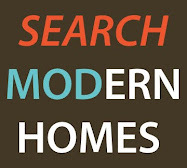 Featuring direct MLS search to modern home listings. Mad for Modern? So are we! Let us show you all the fun Mid-Century Modern and Contemporary homes Charlotte has to offer. We specialize in Modern Architecture and homes for sale. Amazing Lindal Home in the Heart of Charlotte!